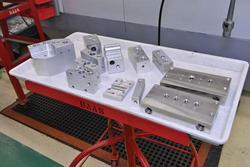 We offer a wide assortment of Industrial Milling Components in different dimensions. These spare parts are made using supreme quality stainless steel and cast iron procured from established vendors. These vendors have been associated with us since a long duration. These products are widely appreciated for their durability, compact design and resistance properties. We offer them at industry leading prices. Material: ABS, aluminum, brass, copper, Delrin, fiber, linen, nylon, paper, phenolic, PVC, stainless, steel, Teflon & Ultem 100. 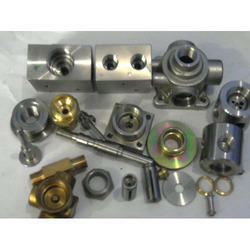 Our company manufactures superior quality of Vertical Machining Milling Components in a wide assortment. This assortment includes clear hole, double-ended clear hole self locating, clear hole locking, clear hole self-locating, self-retaining, self-stacking, thin wall telescopic, brass tubular and aluminum tubular spacers. We provide aluminum, brass, copper, steel, stainless steel and nylon spacers. The entire range is made available at market leading prices. Looking for Milling Components ?